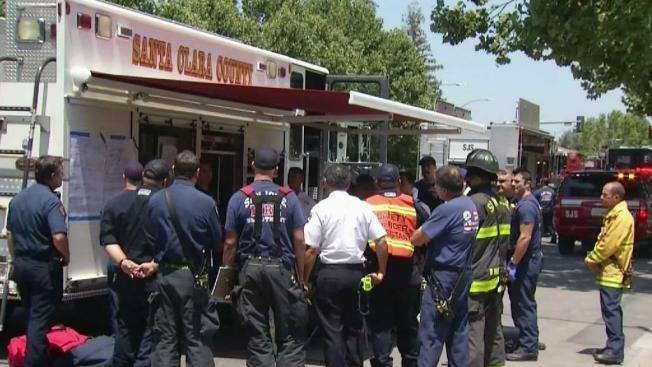 After two employees of a health clinic in San Jose experienced severe sore throats Friday before noon, the fire department was called and it responded with hazardous material crews. Firefighters are working to clear the El Camino Health Primary Care Clinic on South Winchester Boulevard in Santa Clara. The clinic's employees are being treated by paramedics on the scene. No evacuations have been ordered, but the building appeared to have been evacuated.